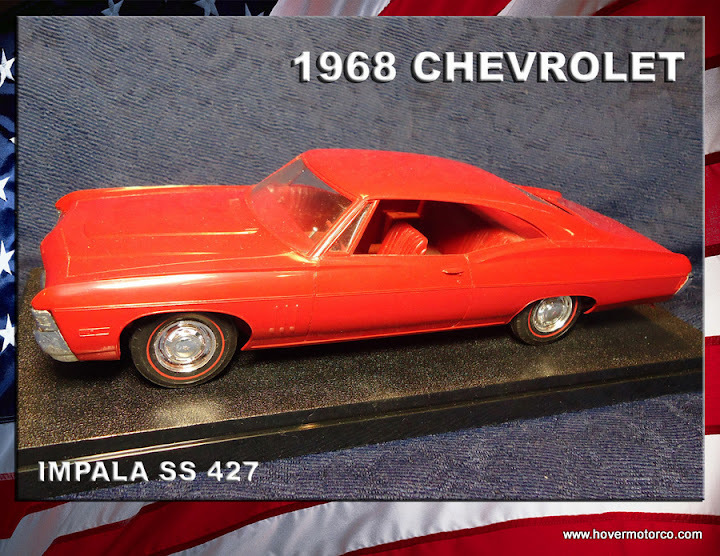 I think dealer promotional models are fascinating little bits of automotive memorabilia. 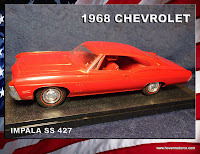 Most people can’t just go buy every old car they ever wanted, but many of those cars were rendered in bright, colored plastic, in the just perfect size to fit in your hand. Dealer promotional models, or “promos,” as people like to call them, aren’t typically made for new cars these days. But 30-50 years ago, they were pretty popular. People anticipated the arrival of the newest models, and going to the dealership was considered an event. So while dads drooled over the latest creations from Detroit, his son was often treated to a highly detailed 1/25th-scale version of the actual car. We're only about a month past car show season, and I'm already getting a little stir-crazy. I know there are cars out there, but they're hiding in peoples' garages. This must be why people are willing to pay ten-times our cost of living to be in places like Los Angeles: car shows all year long! Of course. there are still cars around Kansas City to see, you just have to know where to look. One of the nicer places to check out is Wagner's Classic Car Sales in Bonner Springs, Kan. Wagner's has a neat little showroom that is usually stocked with high-quality collectibles. It's a great place to go window shop on a cold, fall day. If you have a kid between the ages of three and ten, or if you are a kid between the ages of three and ten, you know a little about Hudson automobiles. Because when we learn that Doc Hudson (voiced by Paul Newman) was an exceptional 1950s race car in the 2006 animated movie Cars, we are actually getting a bit of a history lesson. 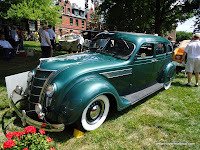 Hudson, the real, non-animated car company, actually did win the NASCAR manufacturer’s championship in 1952, 1953, and 1954, and they certainly would have won it in 1951, but the award hadn’t been created yet. Between 1952 and 1954, Hudson won 66 of the 108 NASCAR races held. That’s an amazing record, especially when you consider how stout the new Oldsmobile “Rocket” V8’s and venerable Ford flathead V8’s were at the time. Last year, I had the opportunity to watch the unveiling of the beautiful new Cadillac XTS Concept Car at the North American International Auto Show in Detroit. This week, Cadillac introduced the production version of the XTS at the Los Angeles Auto Show. 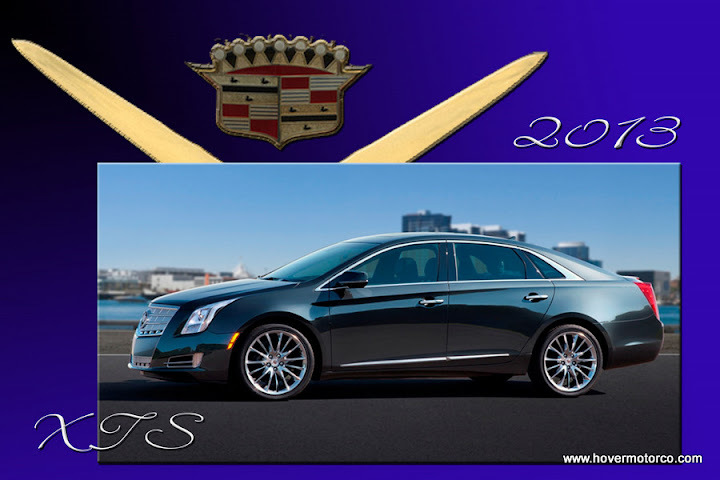 The new 2013 XTS is meant to be Cadillac’s new flagship, filling the void left when the STS and the DTS were discontinued. And, since the STS was a rear-wheel-drive, and the DTS was a front-wheel-drive, everyone can be happy because the new XTS is an all-wheel-drive. Today I thought I’d take some time to talk about something that every visitor to this site has seen, but most of them probably haven’t thought much about. During World War II, new cars were hard to get. In fact, toward the end of 1942, U.S. automakers quit building new cars for the general public, and converted their factories primarily to the production of war materiel. 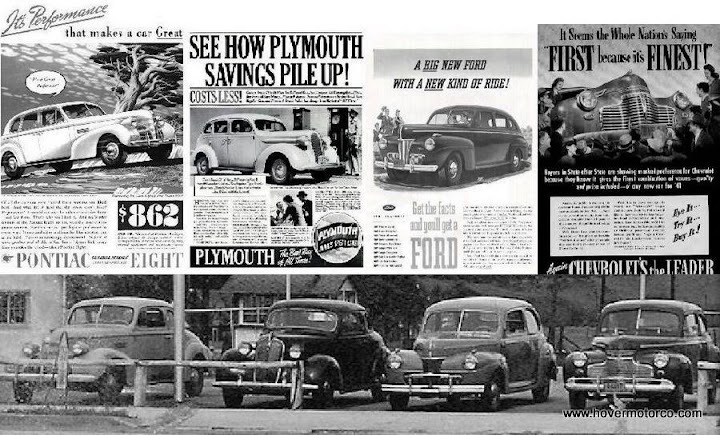 Basically no civilian cars were built between 1943 and 1945. That is a long dry spell. 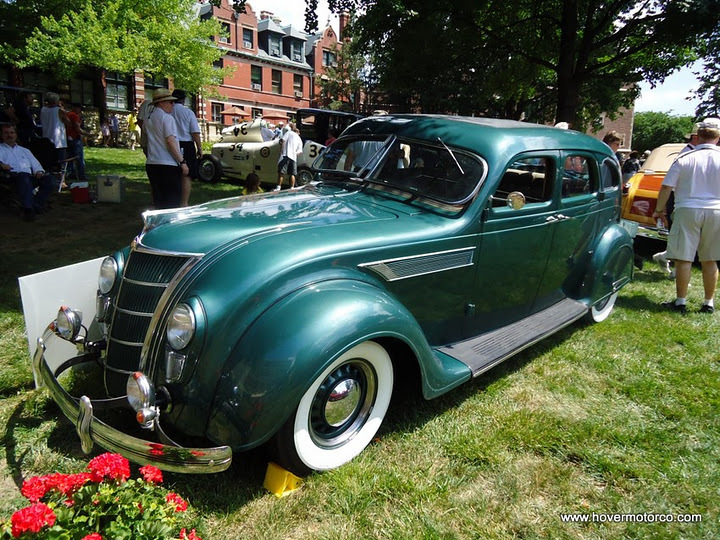 If you want to talk about cars that were ahead of their time, the Art-Deco lines of Chrysler’s Airflow need to be at the top of your list. To fully appreciate the story of the Airflow, you need to put it into context. Airflows were built between 1934 and 1937. As you look at the Airflow pictures on this page, think about what a ’34 Chevy or Ford looked like. Heck, look at the first two cars on the left on my granddad’s car lot in the header and you’ll see a ’39 Pontiac and a ’37 Plymouth. That’s pretty much how all cars looked back then. So the swoopy Airflow was a tremendous departure from what people were used to. One thing that I think everyone could agree about during the final Basehor Boys Friday night cruise of the season was that it was dark. Oh, there were cars there, but if you showed up after 6:30 like I did, you couldn't see them. Curse you, Daylight Savings Time! Of course, that didn't stop me from taking some pictures. I literally lined up the shot where I thought the car would be, hit the button, and "discovered" the car when the flash went off. Most of the time I didn't even know what color the car was before that point. 2011 was a rough year for a number of iconic automotive brands. Some of them aren’t a huge loss from a historic standpoint, i.e., Saturn and Hummer, but a couple of them will truly be missed. 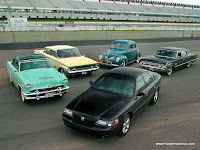 Particularly, I’m talking about Pontiac, and the subject of this article, Mercury. 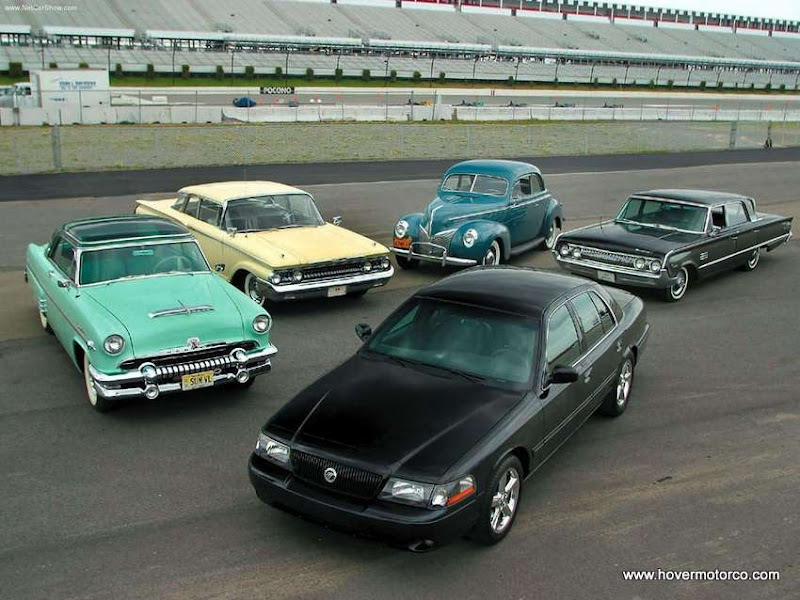 From luxury and performance cars, to auto racing, to legendary customs, the Mercury brand has been a significant part of the American automotive landscape. In mythology, Mercury was the messenger of the gods. Here, we take a look back at the history of Mercury, and the end of the once popular nameplate. The SEMA Show. What a circus. For one week, every company, every person, every eye of everybody who is anybody in the automotive world is focused squarely on the annual Specialty Equipment Market Association (SEMA) Show in Las Vegas. This event is like no other—bigger, crazier, more popular. The sheer size of the facility they hold it in boggles the mind, and it is so full that it spills outside.